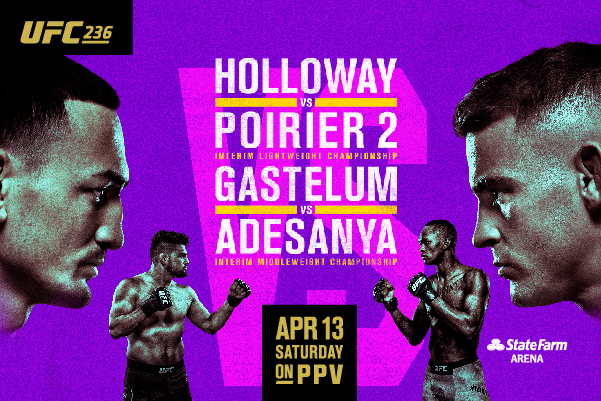 Following the aftermath of his stunning TKO victory over Brian Ortega, Max Holloway, is looking to solidify his dominance over the featherweight division by avenging his past defeat to the former Ultimate Fighter winner, Dustin Poirier. This championship grudge match will be featured at Elements Casino Victoria in a live screening that will also air an ensemble of action-packed MMA bouts, including a card between the Ultimate Fighter winners Israel Adesanya and Kelvin Gastelum. Guests are invited to experience these matches on our big screen free of charge. The party will also include a cash bar, concession food, and $5 Grandville Island lagers. Please visit our website at https://elementscasinovictoria.com or call Elements Casino at 250-391-0311 for more information.